A while back I was so keen to jump on my bike and go for a ride that I got two kilometres up the road before I realised I had forgotten to put my helmet on. For a moment I kept pedalling. 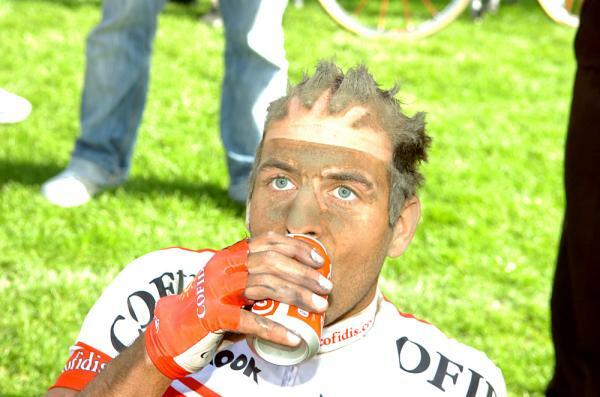 Like a carefree Fignon I let the breeze play with my greying hair, relishing the freedom. This was how it was when I was a kid, before Australia brought in compulsory helmet laws. Nostalgia washed over me. But then graphic images of Fabio Casartelli pushed the nostalgia aside. The Motorola rider crashed heavily on a Tour de France descent back in 1995. The footage of him lying unmoving on the road, with blood from his catastrophic head trauma streaming down the hill, is truly sickening. Those who advocate against compulsory helmet laws should be made to watch it. Not surprisingly, I returned home for my ‘lid’. The Casartelli incident was one of the catalysts that led to the introduction of the UCI’s helmet laws in pro-racing. But the French doctor who examined Casartelli’s body for the coroner disagreed. We will never know for sure if a helmet would have saved Casartelli such was the force of the blow that killed him, but wearing one certainly wouldn’t have caused any further harm. Statistics and studies from around the world indicate the same. Their information mirrors statistics published by the American Journal of Surgery in 2016. A recent report that appeared on NYC.gov, New York City’s official web page, showed that almost three quarters of the fatal crashes involving cyclists in the city involved head injuries. 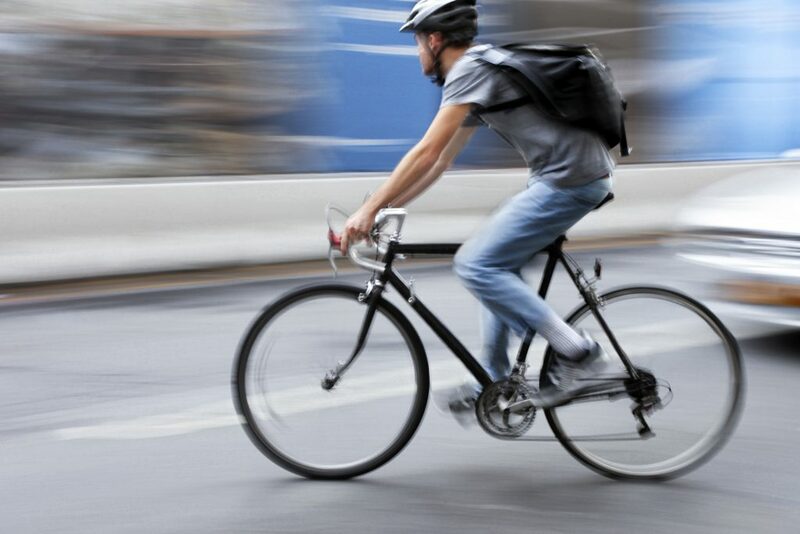 Of those cyclists who died, 97 percent were not wearing a helmet. So why, given all that, is there still a movement within this country campaigning actively against the use of helmets? Lets have a look at some of their arguments. John Trueman, an ANU academic, declares boldly that, “It is well established that motorists give helmeted cyclists less passing room.” (The Guardian, Mandatory bike helmet laws do more harm than good, 12/08/2015). Really? Where is the evidence for this ‘well established’ fact? It certainly wasn’t expanded upon in the article. Other anti-helmet articles make mention of the ‘inconvenience’ of wearing a helmet – I’d probably call that laziness – while still others lament the fact that wearing a lid results in ‘helmet hair’. Helmet hair eh? That’s serious stuff. Helmet hair – it can look awful but it’s still preferable to a head injury! I didn’t even bother to read the article entitled, ‘Helmet laws killing Australia’s bike share.’ I don’t know about the other cities in Australia, but helmets (or the lack thereof) are the least of Melbourne’s bike share problems. How many oBikes have ended up in lakes and rivers? Or up trees? Or on top of buildings and bus stops? If you can imagine it, then an oBike will have been left there. Melbournians are an inventive lot! Most articles pull together a loose argument that the inconvenience of wearing a helmet is putting people off cycling, that if there were no helmet laws then more people would be riding. And more people riding means a healthier population. So helmets are the cause of obesity. They are the reason that our hospitals are clogged with unhealthy people. Traumatic brain injury is bad for your health. Not helmets. What’s your view on bicycle helmets? Are they life-saving or just a nuisance? Give your opinion in the comments section below. Need a new helmet? 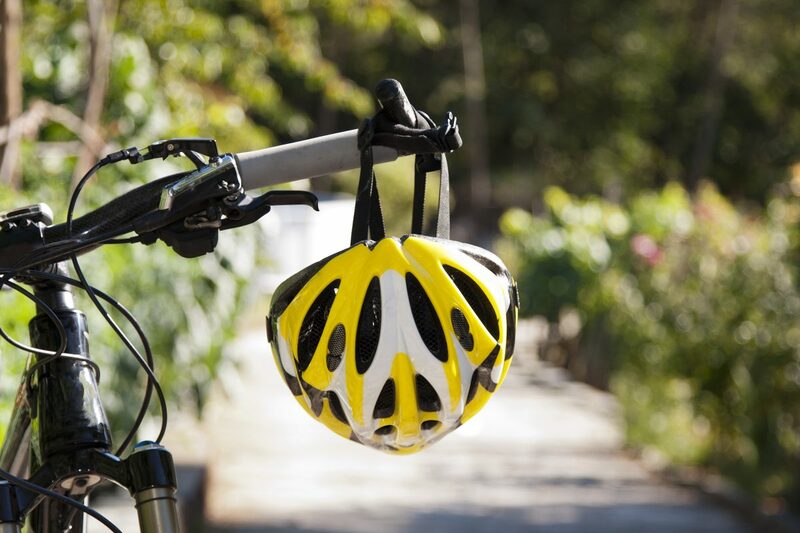 Check out the wide range of bicycle helmets for sale on Bike Chaser. I regularly visit hospital emergency departments to interview patients & medical staff in my current statutory role. I also do the same for people with acquired brain injury (amongst other conditions). Some of these people have experienced their injuries whilst cycling and are alive as a result of wearing a helmet. Stay safe, reduce the adverse impact and please wear a helmet. Hi Kim, thanks for taking the time to respond. You have obviously seen the consequences that can occur if a rider involved in an accident isn’t wearing a helmet. I was staggered by the number of riders (both young and old) I saw NOT wearing helmets over the holiday period. Sometimes I think it is these people who need to visit the trauma ward of their local hospitals. Perhaps then their lax attitude towards wearing a helmet might change. Totally agree. First responders and casualty doctors have enough to do without having to treat avoidable injuries. Australia led the world in mandatory seat belt laws but they eventually caught up and they will on mandatory helmet laws. I don’t accept that it is deterring people from riding – it is a convenient scapegoat. Remember, correlation is not necessarily causation. Wearing a helmet just makes sense. I remember Cadel Evans crashing in the Tour de France a few years back. He landed on his head and destroyed his helmet. Yet, he was able to get back on his bike and finish the stage pretty much in one piece. I shudder to think what would have happened if his head had taken that impact and not his helmet. With regards to your criticism of John Trueman, his statement about passing distances is based on the British study below. It took me about 30 seconds of Googling to find it. Just because it wasn’t expanded upon in a newspaper article and you were too lazy to look for yourself, does not give you permission to rubbish him. A later study by another group questioned his findings. This took me about another 15 seconds to find. Interestingly you didn’t seem to have any trouble referencing articles that support your opinions. Hi John, thanks for contributing. The link you provide makes interesting reading, although rather than being a ‘study’ as such with a large target group, it appears to have involved just one ‘experimenter’. The fact that a later study questioned the findings is not surprising. Helmet laws suppress cycling numbers. (It’s not just helmet hair, for all the sneering.) Safety in numbers is a much bigger factor in cyclist safety than helmets, so helmet laws increase the risk for cyclists. You are happy to quote numbers for head injuries, but go with the ‘it’s crap’ argument here. And nobody is campaigning against the use of helmets. The campaign is against laws that mandate helmets. Nobody’s trying to take your foam hat off you Sean.